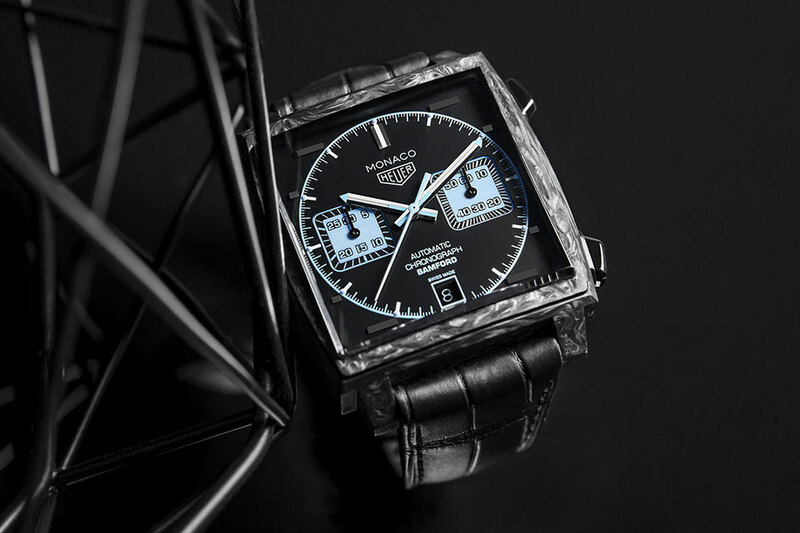 You don’t need to be a watch connoisseur to adore a beautiful watch and it certainly don’t need a wrist watch lover to want to own this fabulous take of one of TAG Heuer’s most iconic timepiece: the TAG Heuer Monaco. 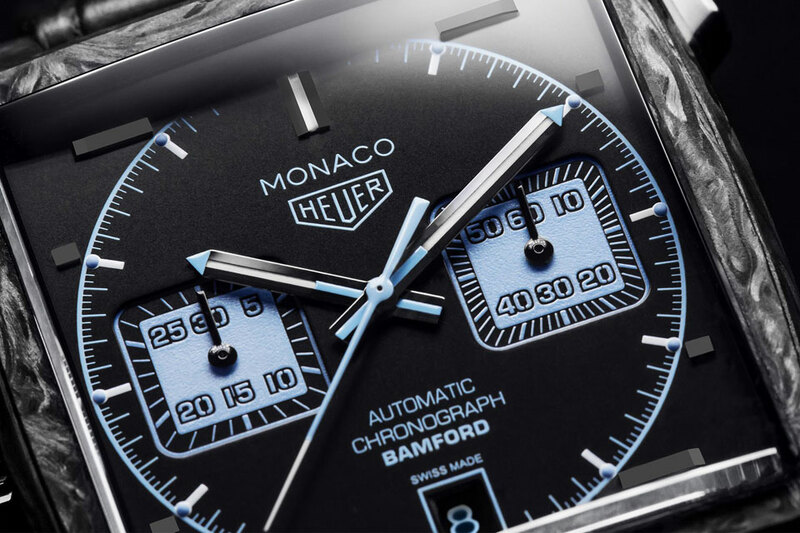 Revamped by luxury watch customizer Bamford Watch Department, the TAG Heuer Monaco Heritage features striking aqua blue accents, found on the luminescent indexes of the chronograph counters, the dial indexes, as well as the date window, that really pops from the deep black dial and the 39mm square carbon case it is encased in. 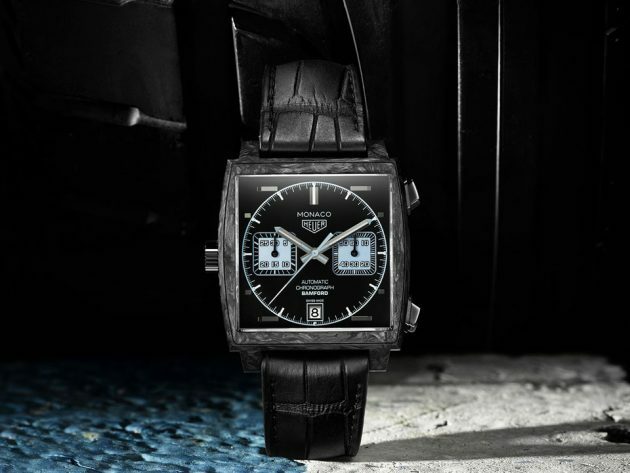 While the TAG Heuer Monaco may be synonymous with motorsports, the aqua blue on black/carbon seems to give it a futuristic feel. Perhaps, a vision of the future of motorsports? Perhaps. 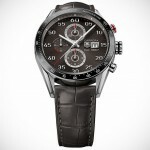 Both TAG Heuer and Bamford Watch Department did not say, but to us, it feels like so. 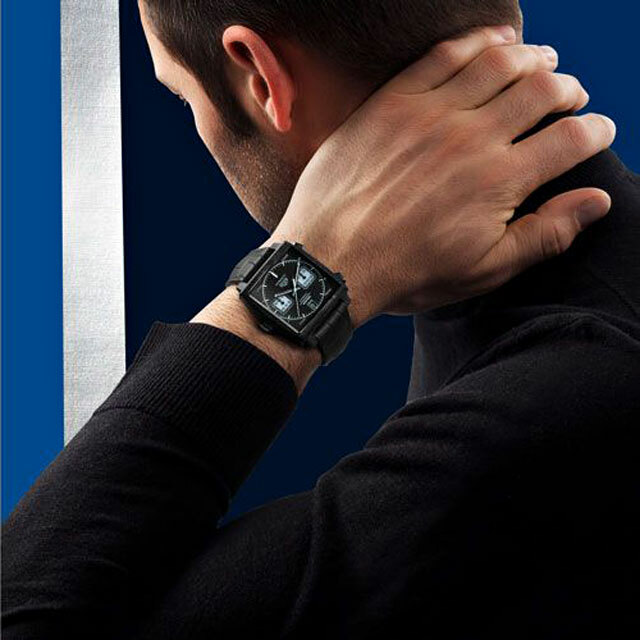 The use of carbon and aqua blue gives this otherwise vintage-ish timepiece a touch of avant-garde and modernity. 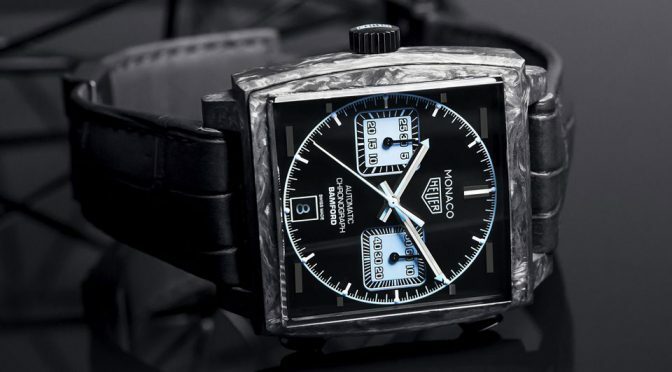 Other key notables include a left crown that has been an icon as much as the watch itself, luxurious black alligator strap, and engraved George Bamford imprint on the dial by the way of the branding “Bamford” just above the data window (which is at 6 o’clock position, if you haven’t already noticed). 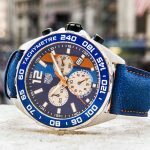 TAG Heuer Monaco Heritage by Bamford Watch Department was officiated in March at the Baselworld 2018, but to date, neither the specifications nor the pricing have not been disclosed. 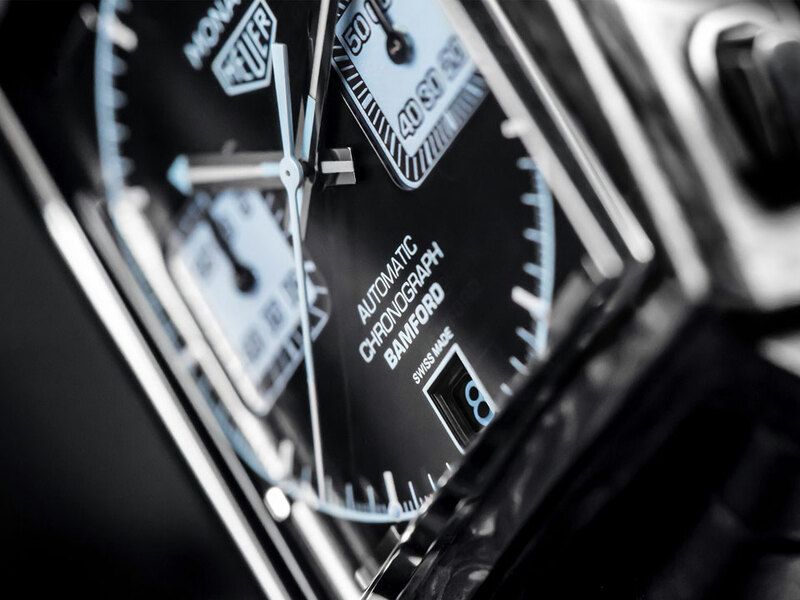 We are not sure if it is the same as the stainless steel finished variety being sold at Bamford Watch Department. In fact, we are not even sure if it is for sale or not. 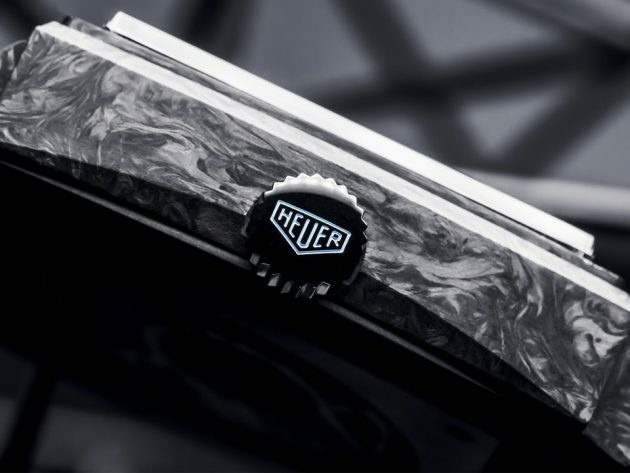 If it does indeed is for sale, I’d go out on a limb to say it will be more than the £6,250 it is asking for the current stainless steel version. Images courtesy of TAG Heuer.